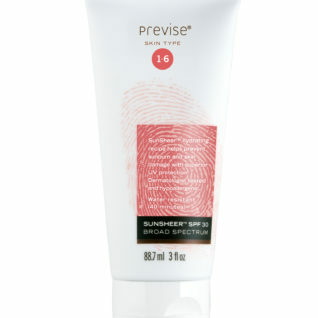 SunSheer™ is our Broad Spectrum, SPF 30 sunscreen moisturizer. Crafted to help block harmful UVA and UVB radiation, our recipe includes multi-action antioxidants and licorice root to help boost hydration. Help fight wrinkles, brown spots and skin cancer with SunSheer physical sunscreen. We do not use artificial pore clogging silicone and petroleum stabilizers. To maintain a sheer and protective coverage, SunSheer occasionally needs a little shake before use.